The Guaranteed System & Support To Grow a 6 Figure Bookkeeping Business & Beyond with Confidence. 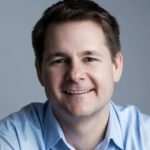 Also listen in to this recent Jetpack Workflow “Growing Your Firm” podcast: “How to use MAP to make your accounting business profitable“. Accounting – The skills and certifications to do the work efficiently and profitably. Building a profitable bookkeeping business is attainable by any bookkeeper. However, there are deliberate actions required to ensure success and avoid failure. Universal Accounting Center & Pure Bookkeeping provide a proven roadmap for every revenue stage of your growth, as seen below, from startup to 6 figures & beyond. 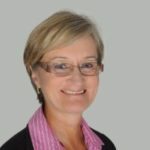 The Pure Bookkeeping “Successful Practice” System represents over a decade of blood sweat and tears from Debbie Roberts in her business, with Pete Cook’s constant guidance. It’s currently in its 10th version. Every part of it has been tested, pulled apart, improved and put back together. This isn’t something that was put together on a whim, nor was it because we saw another market opportunity. It’s something Debbie has been living with, building and using for over a decade. Which is why we are so confident it will work for you. This program is the very reason that Debbie has been able to grow her business from just being on her own, to having a team of 12 bookkeepers. And more importantly, it’s what’s gotten her to the point where she worked less than half-time in her bookkeeping business (and recently sold her business). We have been blown away and humbled by the response to this system. There are now more than 700 Pure Bookkeeping licensees, making us bigger than any of the bookkeeping franchises in Australia, Canada, United Kingdom or the United States. 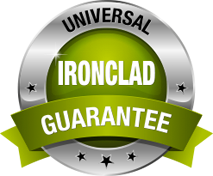 We recognize that it is a substantial investment you are considering. However by the same token we are often asked why we don’t charge more. It comes back to our mission — to help great bookkeepers grow their businesses. We take that very seriously, and we want to help as many bookkeepers as we can. Very early on we decided not to go down the franchising road and charge $30k–$40k for our system. We have instead priced the system at a level that makes it a no-brainer for bookkeepers who are serious about growing their businesses. So if you want to build a successful bookkeeping practice or business and are serious about growing, we’d love to give you the tools. How do you know this is what you need to do NOW! You’re just starting out with a handful of clients… or thinking of starting a bookkeeping business. Your client list is full… and you’re working evenings and weekends. You’re transitioning to a business or you’ve already got some other bookkeepers on your staff. You are already running a successful bookkeeping business. How the Pure Bookkeeping “Successful Practice” System will help you grow your business? Get More Clients – The Sales & Marketing Manual will give you everything you need to fill your books. It contains the 7 x 5 marketing plan, including how to get in front of accountants, systematically get referrals, and effectively convert prospects to clients. If all you get from this is an additional 5 hours a week of bookkeeping at $50 per hour, that’s an extra $12,000 per year. Charging More – By providing a great bookkeeping service, selling a bookkeep­ing system, following the processes in the Sales and Marketing Manual and charging what you are worth you will be able to increase your prices. If you can charge an extra $10 an hour over 25 hours a week, that’s an extra $12,000 a year. Offering More Services – It provides a suite of additional reports and services that you can produce and charge for. If you can get an additional $500 a month from these, that’s an extra $6,000 a year. 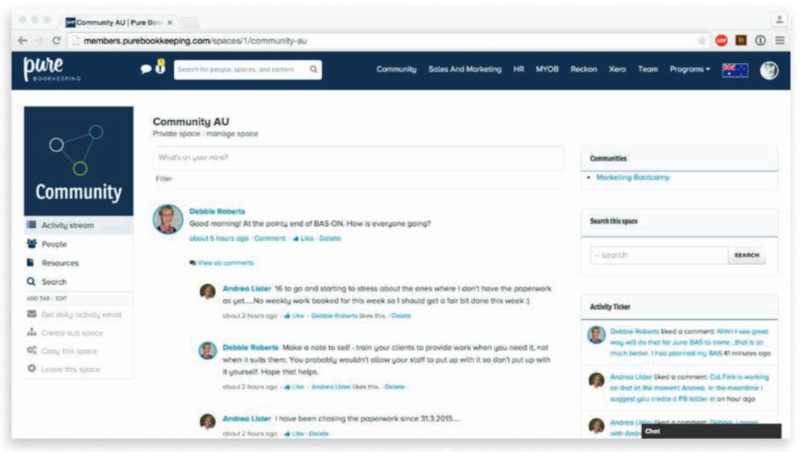 Recruit other bookkeepers -Putting on other bookkeepers is a big step. If that’s what you choose to do, the Human Resources Manual will give you the guidance you need to advertise for, interview, and most impor­tantly test new bookkeepers. A bookkeeper working 30 hours a week can add over $40,000 to your bottom line. Increased confidence. Many of our licensees report a boost in confidence that comes with the certainty that you are delivering industry best practice bookkeeping, being part of the Pure Bookkeeping community and having unlimited support to implement the PB System. 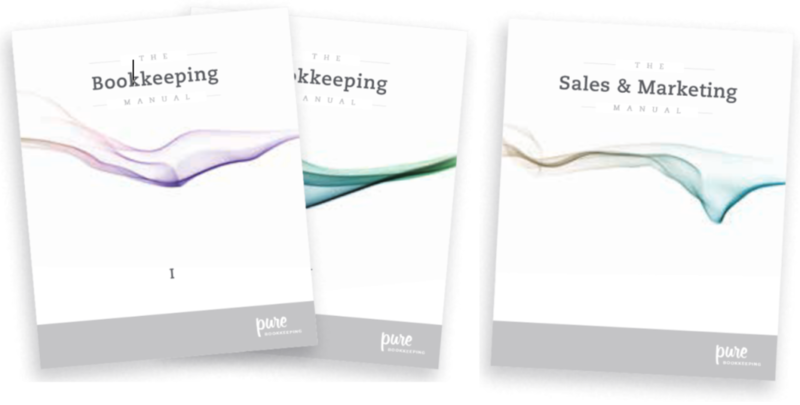 Pure Bookkeeping Central – Our brilliant new online platform. It’s got the manuals and over 100 templates, videos and resources for you to use – available anytime, anywhere. And it’s also the place where Pure Bookkeeping licensees share ideas, discuss issues and support each other (in addition to local masterminds meetups). 60 minute session per month. Each month there is a curriculum that has assignments to complete. Currently the mentor program is for getting the clients and systems (workflow) implemented. 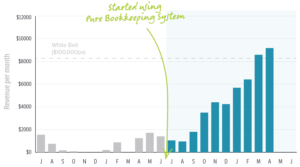 Successfully Used By 871 Bookkeepers… and Counting! We have been blown away and humbled by the response to this proven system. There are now more than 700+ Pure Bookkeeping licensees, making us bigger than any of the bookkeeping franchises in Australia, Canada and the United States. 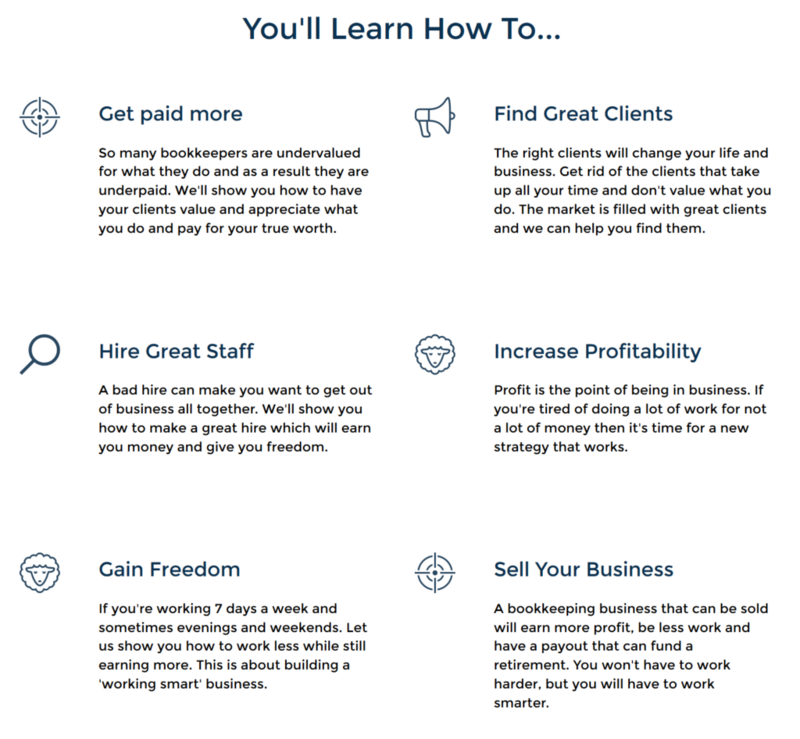 Would you like to know the ultimate shortcut to More Income, More Freedom, and More Fun in Your Bookkeeping Business, well they are all covered in the 7 Secrets – GO HERE now to learn what they are and how they apply to you! Our many members work fewer hours, with clients they love, at higher hourly rates and with better work/life balance. You should too. I’m Debbie Roberts, a fellow bookkeeper. I’ve been in your shoes. Back in 2001 I was facing all those challenges. “BAS-ON” (as my husband calls it) was crazy. I didn’t see my family, I was working long hours but I still wasn’t getting the financial rewards I deserved. Then I started working with business coach Peter Cook. As a result, I made a series of important changes. Some were easy to make. Others were more difficult. However, I successfully made the changes I needed to make. The result? By 2010, I had a successful team of 12 bookkeepers. I enjoyed sensible hours. My personal income more than trebled and I worked with a much higher calibre of clients. Today, I enjoy a long annual holiday—with no worries about running my bookkeeping business. The key to a great bookkeeping business is great clients. Clients that value your work, value your time, and pay you accordingly. It sounds simple, but it’s anything but. Not cracking the sales and marketing leaves many business owners stressed out, underpaid, and feeling unfulfilled. A steady stream of new clients flowing in the door unlocks so many possibilities for your business. Wouldn’t it be great if you could “sack” your bad clients because you knew there was a steady stream of new clients flowing in? Wouldn’t it be great if you could raise your hourly rate by $5-10 dollars an hour, safe in the knowledge that you can afford to lose a couple of “stingy” customers that don’t appreciate your skills anyway? When building her own business, Debbie came to understand just how critical marketing really is, but like most bookkeepers had absolutely no formal training or experience in the field. Over the proceeding ten years (and after a great deal of research, and trial and error), she developed and refined a simple marketing system that consistently delivers new clients. At Universal Accounting Center, we understand most successful bookkeeping operations are not started by owners with big school business degrees. They’re created by people like you. Talented individuals who have a skill – something you know how to excel at better or different than anybody in the world – then woke up one day and suddenly discovered their businesses had turned into a really tough job. With terrible pay and very little time off. Debbie Roberts knows how you feel. She’s been in the professional bookkeeping game over 20 years and went through everything you could possibly imagine. Back in 2001, she was about 18 months into her bookkeeping business when it changed forever. She met Peter Cook who had been working a business consultant and coach since the mid-1990s. At that time in her life, Debbie was tearing her hair out. She was full up, working nights and weekends and wanted to grow her business. But, she was nervous about hiring other bookkeepers. She had cleaned up messes left behind by bad bookkeepers and didn’t want to risk her clients and her reputation to someone else. But, she also didn’t want to turn away anyone who needed her help. 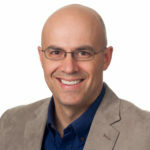 Then, after meeting Pete at a networking group, they chatted over coffee when he asked, “If you took the way you do bookkeeping out of your head and put it onto paper as a system and another bookkeeper was following that system, could you trust them then?” At that moment, the Pure Bookkeeping System was born. 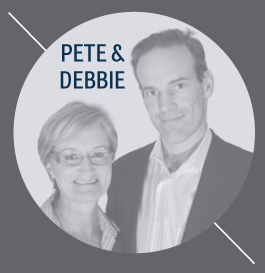 Pete became Debbie’s coach and over the next decade she grew her business to the successful, profitable operation with a team of 12 highly skilled bookkeepers who worked for her (She’d later sell her business in 2014). In 2010, Debbie and Pete decided to take what they learned in their journey to form Pure Bookkeeping to help other bookkeepers grow their businesses and that they did in 3 different continents – Australia, Canada and the United Kingdom. We believe normal bookkeepers can do incredible things. As a training and coaching company, Universal Accounting Center & Pure Bookkeeping will do our best to help you reach your business goals through our engaging and informative seminars, webinars, informational products, mastermind calls and our crown jewel resource, the Pure Bookkeeping System which shows you step-by-step how to create powerful systems in various areas (ie: Sales & Marketing, Human Resources, etc) of your business. Over 700 bookkeepers worldwide have used it and experienced dramatic success. Pure Bookkeeping isn’t for everyone. Only those who have a true passion and commitment to growing their bookkeeping business and are willing put in the work are the types of achievers we’d like to help. If you’re ready for the challenge, you can begin by browsing through our website and take advantage of the many profitable resources at your finger tips. I have done various forms of accounting and bookkeeping for various sized business for 15 years. Some of the class was review for me. But it was still presented in a very informative, helpful way. The parts of the course that were new were clear and understandable. I feel that this course would be beneficial for all business owner’s and bookkeepers.